Patients who receive cardiac positron emission testing (PET) imaging instead of single photon emission computed tomography scan experienced a significant increase in the detection of severe obstructive coronary artery disease, according to researchers at the Intermountain Medical Center Heart Institute in Salt Lake City. A first-in-human study presented at the 2018 Annual Meeting of the Society of Nuclear Medicine and Molecular Imaging demonstrates the benefits and safety of a new, long-lasting type of radionuclide therapy for patients with advanced, metastatic neuroendocrine tumors. Patients who receive cardiac positron emission testing imaging instead of single photon emission computed tomography scan experienced a significant increase in the detection of severe obstructive coronary artery disease, according to researchers at the Intermountain Medical Center Heart Institute in Salt Lake City. A large nuclear cardiology laboratory has slashed its average radiation dose by 60% in eight years, according to new research presented today at ICNC 2017 and published in JACC: Cardiovascular Imaging. As the U.S. races to legalize marijuana for medicinal and recreational use, a new, large scale brain imaging study gives reason for caution. EXIRAD-3D, MILabs’ new micron-resolution Single Photon Emission Computed Tomography (SPECT) technology, dedicated for imaging ex-vivo tissue samples is being launched by MILabs at the EANM congress in Barcelona. For patients presenting for the first time with suspected coronary artery disease (CAD) clinicians have had a number of non-invasive diagnostic tests to choose from, but little evidence for which is best. Aggressive neuroendocrine cancer is something of a dark horse--a rare, elusive and persevering force linked to discouraging long-term survival rates. Long-term follow-up of the CE-MARC study suggests that cardiovascular magnetic resonance could be a better predictor of cardiovascular events than single-photon emission computed tomography in patients with coronary heart disease. LaVision BioTec, developers of advanced microscopy solutions for the life sciences, will demonstrate their latest light sheet microscope, the UltraMicroscope II at the forthcoming analytica 2016 meeting in Munich. LaVision BioTec, developers of advanced microscopy solutions for the life sciences, report on the work in the Tews Laboratory which is studying the molecular mechanisms of tumor invasion using an UltraMicroscope for enhanced imaging of cells. Patients with rheumatoid arthritis are at increased risk of a surprise heart attack, according to new research presented today at ICNC 12 by Dr Adriana Puente, a cardiologist in the National Medical Centre "20 de Noviembre" ISSSTE in Mexico City, Mexico. 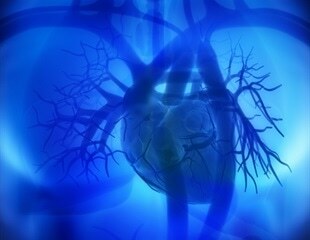 New heart imaging technology to diagnose coronary heart disease and other heart disorders is significantly more accurate, less expensive and safer than traditional methods, according to a new study by researchers from the Intermountain Medical Center Heart Institute in Salt Lake City. Fujian University of Traditional Chinese Medicine, in Fuzhou, China has installed a MILabs VECTor/CT system to boost their neurological research with preclinical Positron Emission Tomography (PET) and Single Photon Emission Computed Tomography (SPECT). Loyola University Medical Center is offering epileptic patients an imaging scan that records brain activity during seizures. MILabs BV has launched a complete new preclinical product line at the 2014 Annual European Association of Nuclear Medicine Meeting in Gothenburg, Sweden, October 18-22 (www.eanm.org). It consists of the new 4-series comprising U-SPECT4, U-SPECT4CT, VECTor4 and VECTor4CT incorporating significant improvements over the former PLUS-series. The 4-series carries even further the tradition of MILabs to deliver the best SPECT and PET image resolution available in the market.